Its quick, easy and very healthy. 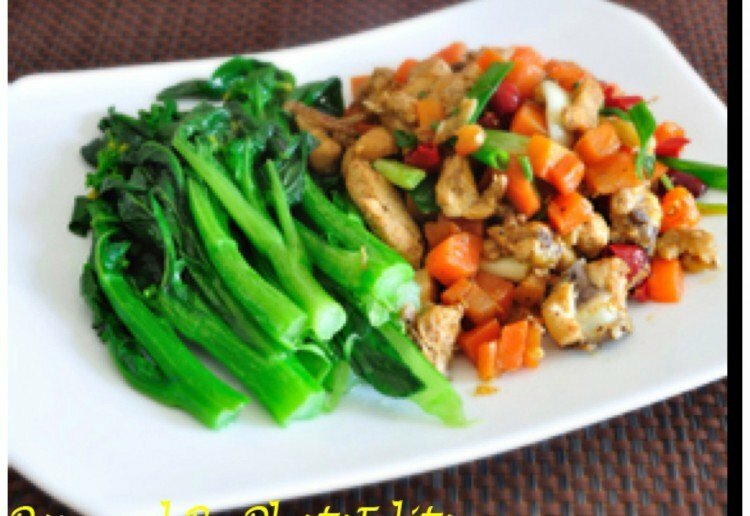 One of my best friends cooked up this delicious Stir fry years ago and then gave me the recipe which I now cook at least every two week’s as my family just love it! Heat oil in a wok or electric frypan, add chicken and fry until almost cooked. Set, Serve over bed of steaming rice. Instead of bok choy, roughly chopped cabbage can be used. It also goes well with rice or egg noodles instead of rice. For a vegetarian alternative use vegetable stock. That looks lovely and well presented. A favourite meal andl l love your recipe! every time I see this recipe on my wall I smile – it is so vibrant and healthy looking. I really love it! This looks delicious. Nothing beats a yummy stir fry. Even my hubby loves this one!